Tried my hand at Paleo inspired cooking tonight. 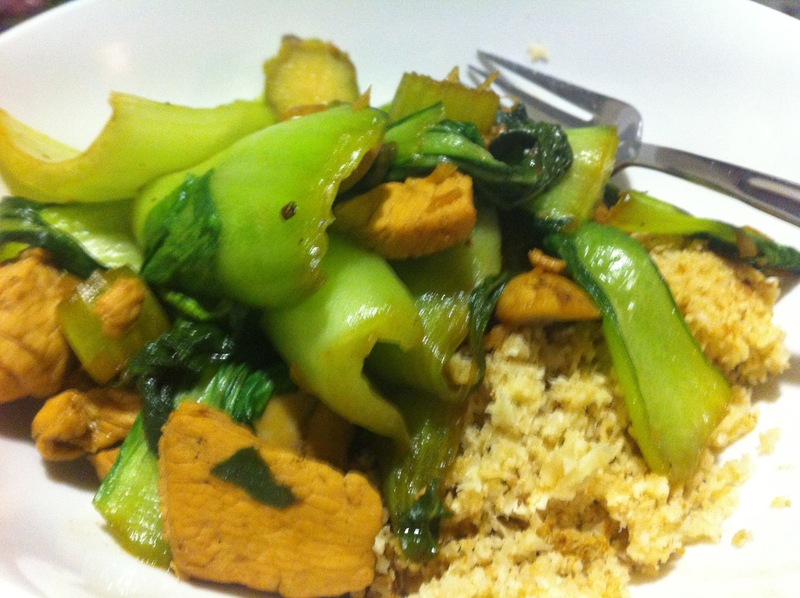 I was going to make a spinach chicken dish but I had some super fresh baby bok choy in the fridge. It inspired me to try cauliflower rice and an Asian style stir fry with fresh garlic, ginger and a small amount of soy. This afternoon I find myself looking for healthy snack options. After the paleo diet was recommended to me by someone I admire I thought I’d search for some paleo snack options and came across this list with some tasty snack options. via 99 Awesome Paleo Diet Snacks and Ideas | Paleo Diet Success.